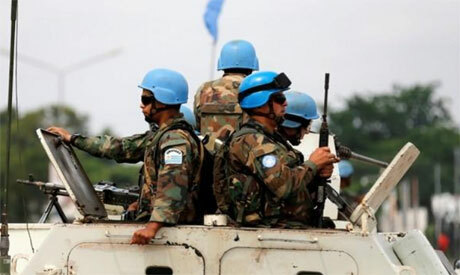 Egypt condemns an attack against a United Nations base in East Congo where not less than 15 UN peacekeepers were killed and 53 others injured Friday, the Egyptian foreign ministry stated. In a statement issued Saturday, the foreign ministry expressed its sincere condolences to the families of the UN peacekeepers from Tanzania and Congo who were killed in the attack. The statement also expressed Egypt's hopes for the speedy recovery for the injured. It added that Egypt fully appreciates the efforts of the UN peace mission in Congo. According to UN Secretary General Antonio Guterres, the attack is considered the worst against UN peacekeepers in recent history. In an official statement, the UN mission in Congo pointed a finger at the rebel Allied Democratic Forces group as being responsible for the attack.